If you’ve been on the Internet in the last five years, you probably know about furries—or think you do. (Hint: It’s not just people who wear costumes.) Furries have been around for twenty years, and the community they’ve built in that time has become one of the more open and welcoming to all kinds of people who often can’t find a home in mainstream society. 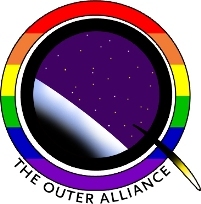 Early on, for reasons that are still debated in the community, the LGBT presence in the fandom was very strong. That openness has persisted to the present day and grown even wider. Before civil unions were even legal, gay couples held hands and openly expressed their commitment at furry conventions. Transgendered and transsexual people move in the community with confidence. People often ask why these and other diverse communities have found a home in furry. It’s a complicated question that I’m not going to answer in one post. But I think it has a lot to do with one of the core aspects of the furry fandom. I have a secret. A gift. It sets me apart in ways that are both dangerous and rewarding; it’s like being a superhero. I can’t fly or walk through walls, but I do have a special sense: I’m hard of hearing. I think of it as the opposite of ESP. Anything others can hear, I can hear... Differently. If at all. In the ordinary world, my hearing loss is disadvantageous. I rarely pass a day without blundering into social pitfalls as a result of missing or mis-hearing something subtle or important. And I can’t just listen-up for threats like most people. Cars, bicyclists, creepers on my tail? Even if someone helpful shouts a warning, I may not hear it. And if I do, I may not understand what I’ve heard in time for it to make a difference. After a lifetime of injuries and insults, I’ve developed survival habits: I glance over my shoulder a lot, always double-check before crossing the street, keep my back to the wall, stay as far to one side of paths and sidewalks as I can, and look up often from whatever I’m reading or fiddling with in my hands. Whenever I’m out with someone and they ask why I’m distracted, I tell them, “I’m just paying attention.” To everything, all the time. It’s exhausting. You might be familiar with the names Pygmalion and Galatea. In the classical myth, Pygmalion is the sculptor who scorned the women of his city as being imperfect of feature and character, and who created a beautiful sculpture, called Galatea in many versions. Pygmalion finally found a woman he could love and, after the sculpture was brought to life, they apparently lived happily ever after. That’s the short, short version. 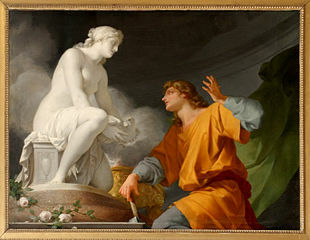 However the story is put together, Pygmalion and Galatea’s relationship revolves around one main point: Pygmalion is the creator who has made his choice, Galatea is his creation and honours that choice (or not, depending on the version). When it works, it is because their perceptions of each other match up. 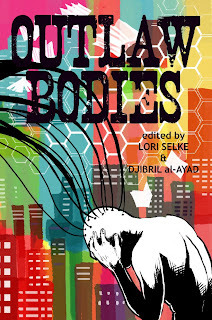 For the next few weeks, up until and possibly beyond the release of the Outlaw Bodies anthology (Amzn (US) | Amzn (UK) | Lulu | e-book), we're holding a blog carnival: every couple of days we'll either post here or guest-post elsewhere something related to the anthology, its authors and contributors, or outlaw bodies/feminist/queer/trans*/disability/race/cyberpunk/posthuman issues generally. If you post or spot anything in this theme that we've missed here, please let me know (or leave a comment) and we'll add it to the list. Guest Post: Kay T. Holt, "Hush!" Guest post: Kyell Gold, "Furries"
The Outlaw Bodies anthology, conceived by Lori Selke and co-edited with The Future Fire, will be released in early November in print and e-book; a few of the stories will also be published online in a special issue of TFF magazine. 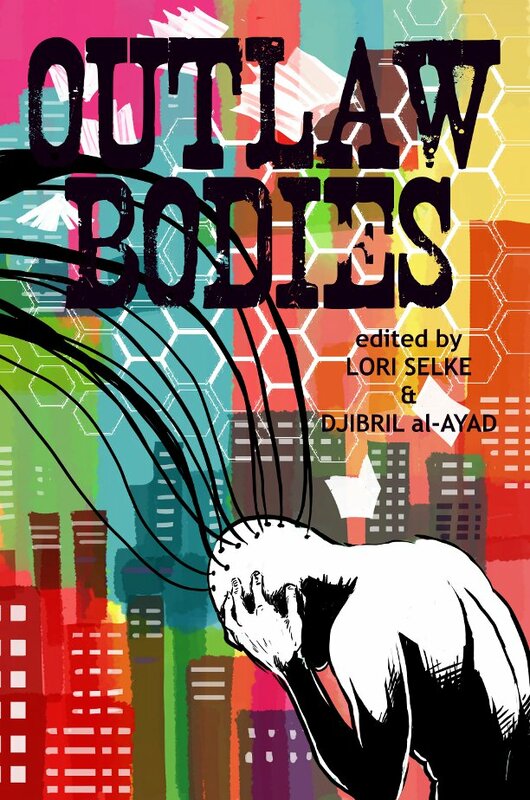 The book collects speculative fiction stories that deal with the control, repression or regulation of the human—or post-human—body. To set the scene, we’d like to introduce you to the contributors and editors as they ask each other questions in this serial interview. Jo Thomas: There isn’t any particular story behind it—just the usual underlying fascination with the train-wreck that is celebrity public life. I have difficulty reading people and I always wonder what the gap is between what I see and what is presented. Likewise, with celebrity, I wonder what the gap is between what is presented and the person behind the presentation. In terms of “Good Form”, I was thinking of a number of male actors who get something of a reputation for being, well, let’s go with “charming”. A characteristic that would sell well and the original might be happy to licence off, particularly if he were unlikely to run into any copies and end up charming the same people!